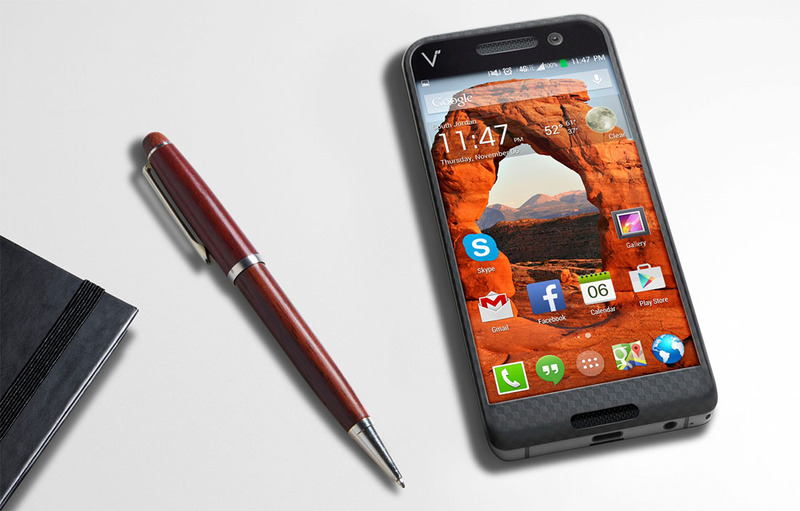 Almost exactly 2 years ago to the day, a company named Saygus introduced a phone called the V-Squared at CES that was billed as the ultimate power user package. It had dual everything, tech supposedly never seen before in a phone, “Fractal Antenna Technology,” Harmon Kardon speakers, IPX7 waterproofing, and more. The price was attractive, the company was based in the US, and a good many of us thought it was worth picking up. Thankfully, most of us gave up on it pretty quickly, because they still haven’t shipped a single phone it appears. While I don’t want to dive too deeply into the history of excuses, drama, and controversy surrounding Saygus and the non-launch of the V-Squared, the timing just seemed too perfect to not have it be this week’s TBT. As of mid-December, at least according to their Twitter account, Saygus has a shipment of phones in house from their manufacturer, but they still need to waterproof them, debug them, and do something with noise cancelling. Once they complete those steps, the phones will need to be packaged up and shipped out. Except in October, they said they’d have shippable phones in house all packaged up and ready to go. Of course, that didn’t happen because of delays. We also still don’t know if the phone ever cleared through the FCC. It’s really something, attempting to follow this company and their struggles to ship a 2-year old phone. Saygus still plans to ship the original batch of phones with Qualcomm’s Snapdragon 801, a 3-year old processor. They did mention on Twitter that they’ll let people exchange their 801-powered device for an upcoming Snapdragon 820-powered version of the V-Squared. Bets on that version ever actually becoming a reality? In the end, this whole Saygus debacle just hammers home the point I made a year ago: backing a crowdfunded smartphone is always a terrible idea.